State Transformed from $10 Billion Deficit to Projected $2 Billion Surplus - Package Continues to Increase Economic Opportunity by Reducing Taxes and Attracting Businesses. Albany, NY - January 6, 2014 - Governor Andrew M. Cuomo today announced details of a more than $2 billion tax relief proposal designed to increase economic opportunity and attract and grow businesses across the State. Thanks to responsible fiscal management in state government, New York has gone from a $10 billion deficit to an expected $2 billion surplus. Today’s proposals are made possible by this success, and are the next major step in New York’s continued transformation to a more affordable state businesses and families. Click here for video of the Governor’s announcement of the proposal earlier today. Based on current projections, if spending growth is held to two percent annually the State will see a surplus of approximately $2 billion by FY 2016-17. Given this projected surplus, Governor Cuomo proposes a more than $2 billion package of tax relief measures to help New York residents and businesses. The proposals have been informed by the hard work of the New York State Tax Reform and Fairness Commission and the New York State Tax Relief Commission. Any costs of the package over $2 billion will be offset by proposals to streamline tax collection, which will increase revenue through improved audits. By almost any measure, New York’s real property taxes are the highest in the nation with an average residential bill of $5,040. In addition, three of the top four highest county median tax bills in the country are in New York. And New York is one of only 10 states where a resident can live in three general purpose local governments at the same time. There is no reason for New York to have nearly 10,500 separate forms of local governments; many of which provide overlapping or duplicative services. Governor Cuomo’s proposal will freeze property taxes for two years, subject to two important conditions. In year one, the State will only provide tax rebates to homeowners who live in a jurisdiction that stays within the 2% property tax cap. In year two, the State will only provide tax rebates to homeowners who live in a locality that stays within the cap and also agrees to implement a shared services or administrative consolidation plan. The freeze will not apply to New York City, which does not have a property tax cap. Once fully implemented, this tax relief proposal will provide nearly $1 billion in relief with an average benefit of approximately $350 for nearly 2.8 million homeowners. Under the property tax circuit breaker proposal, 1.9 million low- and middle-income taxpayers pay an effective real property tax rate relative to income that exceeds their income tax rate. To help these individuals and families, Governor Cuomo proposes that the State provide tax relief based on a taxpayer’s ability to pay. Households earning up to $200,000 would be eligible and the benefit would be administered as a refundable tax credit against the personal income tax with an average benefit of approximately $500. While the credit would be available statewide, in areas outside of New York City, only residents of jurisdictions that adhere to the property tax cap would qualify. This credit would be worth $1 billion in tax relief when fully phased in. There are 3.3 million households across the state that rent their homes. Over 829,000 low-income renter households pay more than 50% of their monthly cash income on housing costs and thousands of moderate-income renters face similar burdens. To provide tax relief for renters, Governor Cuomo proposes providing tax relief for renters with incomes below $100,000 by offering a refundable personal income tax credit that increases with family size. This proposal would provide over $400 million in tax relief for 2.6 million renters. New York is one of only 15 states that impose an estate tax, and the current estate tax level is badly in need of reform. While the federal government exempts the first $5.25 million of an individual’s estate, New York only exempts estates valued below $1 million. To end this unnecessary incentive for elderly New Yorkers to leave the state, Governor Cuomo proposes increasing the New York estate tax threshold to $5.25 million and lowering the top rate to 10 percent over four years. Beginning in 2019, the State estate tax exemption would equal the Federal exemption, which is indexed to inflation. This change would exempt nearly 90 percent of all estates from the tax, restore fairness and eliminate the incentive for older middle-class and wealthy New Yorkers to leave the State. New York’s corporate franchise tax is largely outdated and its complexity results in lengthy and complex audit processes that take businesses years to resolve. To streamline the tax structure and provide relief for businesses, Governor Cuomo recommends that the State merge the bank tax into the corporate franchise tax and lowering the rate to 6.5 percent – the lowest rate since 1968. These changes will modernize the corporate tax structure to reflect a 21st Century financial services sector, simplify compliance and eliminate disincentives for financial firms to invest and grow jobs in New York. When fully implemented, the proposal will provide $346 million annually in tax relief to New York businesses. Lowering the cost of doing business for manufacturing firms will make New York a more attractive place for firms to locate their operations and will create jobs Upstate and in the New York City region. To grow existing manufacturers and attract new manufacturing businesses, Governor Cuomo proposes that the State create a refundable credit against corporate and personal income taxes that would be equal to 20 percent of a firm’s annual real property taxes. This credit would provide $136 million in tax relief to the manufacturing sector. To encourage the growth of manufacturing Upstate, Governor Cuomo recommends that the State eliminate the corporate income tax rate for Upstate manufacturers. This proposal would provide an additional $25 million in tax relief for Upstate businesses and complement the proposal to reduce property taxes on manufacturers. To provide tax relief to both families and companies in energy intensive industries, Governor Cuomo recommends that the State immediately eliminate the two percent Temporary Utility Assessment (18-A) levied on commercial electric, gas, water and steam utility bills for industrial customers and accelerate the phase-out for remaining customers. New Yorkers already pay some of the highest energy bills in the nation yet this surcharge increases the already high burden on struggling families and companies. The phase-out will save businesses and residents $600 million over the next three years. Governor Cuomo is proposing a series of actions to simplify the tax code to eliminate nuisance provisions, many of which make it difficult to do business in New York. These measures include the repeal of: the personal income tax minimum tax add-on; the boxing and wrestling exhibitions tax; the tax on agricultural cooperatives; and the stock transfer tax, which is actually a zero-rate tax, meaning it collects no revenue. In addition, the income threshold for filing of a personal income tax return will be increased from $4,000 to the same level as the taxpayer's standard deduction, eliminating the need for 270,000 taxpayers to file a return. Tax simplification efforts also include modifying signature requirements on e-Filed returns prepared by tax professionals, and aligning mobility and personal income tax filings for the self-employed. New York has long had a reputation as a high-tax, anti-business state. Since taking office, Governor Cuomo has taken steps to tackle this issue including: limits on the growth of state spending, the enactment of a property tax cap, the lowest middle class tax rate in 60 years, elimination of the MTA payroll tax on more than 700,000 small business and the self-employed, creation of a new family child tax credit, tax cuts for small businesses and manufacturers, reforms to unemployment insurance and workers compensation insurance, and new START-UP NY tax free zones. The combination of effective budget management and adherence to the 2 percent spending limit benchmark is expected to further improve the State’s fiscal position. 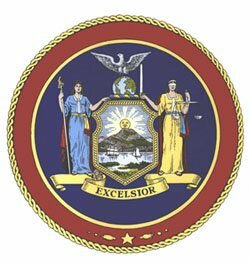 Subject: LongIsland.com - Your Name sent you Article details of "Governor Cuomo Announces Plan to Provide More Than $2 Billion in Tax Relief to New York's Families and Businesses"